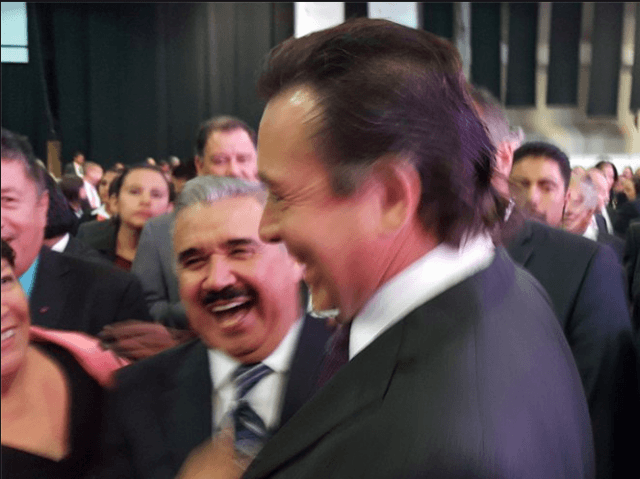 Cartel-Connected Mexican Ex-Border Governor Closer to Extradition to U.S.
A former Mexican border state governor who has been linked to drug cartels and is a current U.S. fugitive is one step closer to standing in front of a federal judge in Texas. The former governor lost his request for an injunction he had filed to stop his extradition to the U.S.
Former Tamaulipas Governor Eugenio Hernandez Flores remains in a prison in his home state where he is facing state and federal charges, while he fights a request by the U.S Department of Justice for his extradition, Breitbart Texas reported. Hernandez is one of two former governors from Tamaulipas who are wanted in the Southern District of Texas on money laundering charges. The governor’s have also been linked to Los Zetas and the Gulf Cartel by government witnesses. Hernandez served as governor of Tamaulipas from 2005 to 2010, a time when the Gulf Cartel and Los Zetas experienced explosive growth with complete impunity. Following his term, U.S. prosecutors charged Hernandez with money laundering charges. His predecessor, Tomas Yarrington, is facing drug trafficking charges as well as money laundering. Yarrington is in U.S. custody after being extradited from Italy where he had been hiding. Despite being wanted fugitives in Texas, both Hernandez and Yarrington lived in Mexico where for years and as Breitbart, Texas first reported, had tax-payer funded bodyguards assigned to them. Despite being protected at the federal level, Tamaulipas state authorities arrested Hernandez in 2017 on embezzlement charges. Following his arrest, Hernandez has filed several injunctions for his release and to fight extradition efforts. Most recently, Abigail Chaidez Madrigal, a Mexican federal judge in Sinaloa ruled against his last injunction, stating that the case did not merit federal protection. The ruling removed the last obstacle for Mexico to extradite Hernandez to Texas. Editor’s Note: Breitbart Texas traveled to the Mexican States of Tamaulipas, Coahuila, and Nuevo León to recruit citizen journalists willing to risk their lives and expose the cartels silencing their communities. The writers would face certain death at the hands of the various cartels that operate in those areas including the Gulf Cartel and Los Zetas if a pseudonym were not used. Breitbart Texas’ Cartel Chronicles are published in both English and in their original Spanish. This article was written by “J.A. Espinoza” and Francisco Morales from Tamaulipas.